This fantastic group of self-motivated individuals are our Student Ambassadors for 2019. As a Student Ambassador, their role is to provide a strong partnership link between our teachers, students, families and the wider learning community. They willingly share their own learning experiences with others, act as tour guides when we have visitors in our school, support our Competency Captains with their roles and help strengthen learner agency here at Clearview. Our Student Ambassadors are excellent role models of our school competencies and vision statement “skilled thinkers and communicators stepping out with confidence”. 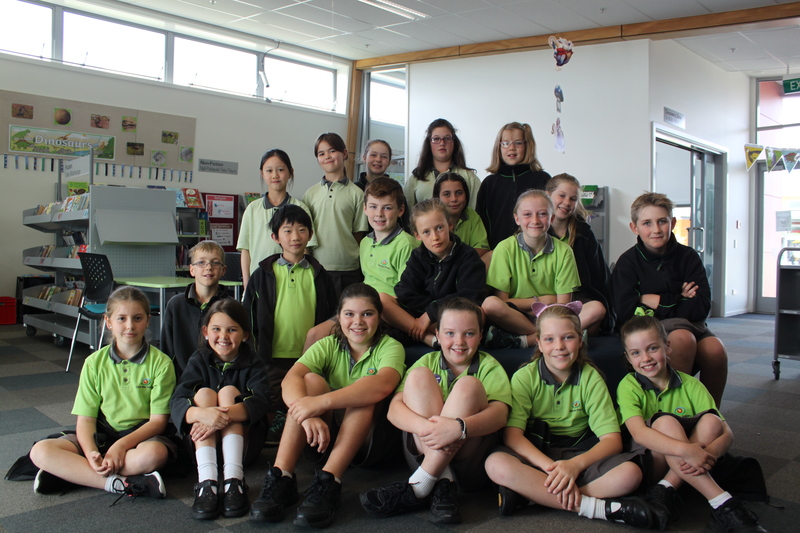 Competency Captains are a fantastic group of Year 7/8 students who are grouped into our school values: Care, Create, Curious, Collaborate, and Connect. Each captain brings their own set of skills to their leadership team. Competency Captains are seen around the school assisting teachers, helping at sports events, organising assemblies, setting up ICT for events, creating learning opportunities with staff for students of different age groups and more. Student Kaitiaki are our brilliant promoters. They collaborate and share their bright ideas on how to raise money for various charity fundraisers. These students are fantastic at organising events together with staff support. These are a group of student leaders who have trained in peaceful conflict resolution skills. Every lunchtime they can be seen in the playground helping groups of children solve disputes and problems. P.A.L.S is a peer-led physical activity leadership programme that encourages all children to participate in activities regardless of their gender, age, or ability. The Student Librarians are responsible for the running of the library at lunchtime. They undertake a wide variety of tasks including – issuing and returning of books, shelving and ensuring shelves are tidy and organised. They also assist library users with searching on the library catalogue, finding books, reading stories to younger library users and helping Mrs Hawes with processing new books.